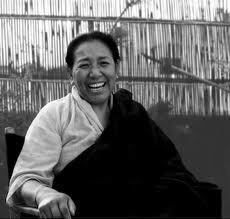 Together with Sakya Dechen Ling,, Ewam Choden will host teachings by the venerable and inspirational teacher, Her Eminence Jetsun Kushok, on August 9 through August 13. Please note below the prerequisites for two empowerments. 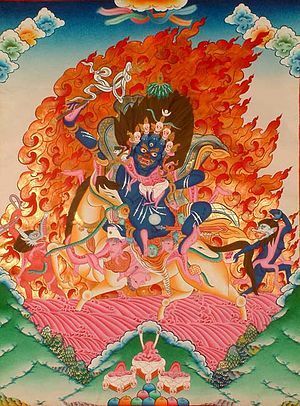 VAJRAYOGINI Empowerment and short teaching at Ewam Choden–Aug. 12 to 13. TO READ ABOUT H.E. JETSUN KUSHOK’S LIFE, Click here. Click here for more detailed information and requirements for the events. Ven. 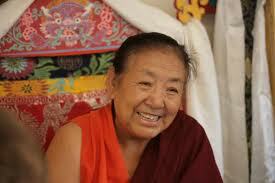 Lama Kunga Thartse Rinpoche kindly bestowed the empowerment of Palden Lhamo at Ewam Choden on Sunday, July 21st. The time is 1:00 p.m. The requested donation is $30.00. 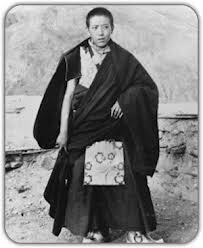 Dana (offering to the Lama and monastic) are separate. This event is open to everyone. Please arrive early to register, and be considerate of neighbors when parking. Directions to Ewam Choden can be found elsewhere on this website. Palden Lhamo (Shri Devi) is the only female among the Dharmapalas, defenders of the Buddhadharma. It is a great blessing to receive the empowerment of this unique protector. Lama Kunga Thartse Rinpoche will be in Minneapolis from June 18 – 23 where he will give empowerments of The Thirteen Golden Dharmas of the Sakya tradition and other teachings. The center is Sakya Thubten Dargye Ling, known as the Minnesota Sakya Center. 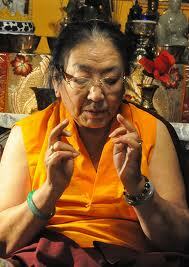 Please visit their website, Minnesota Sakya Center, for details.